But they won’t allow the GOP to respond to the $1.6 trillion or $4 trillion package. The Director of Communications at the White House Office of Health Reform is Linda Douglass, who worked as a reporter for ABC News from 1998-2006. As the national debate on health care reform intensifies, I am deeply concerned and disappointed with ABC’s astonishing decision to exclude opposing voices on this critical issue on June 24, 2009. Next Wednesday, ABC News will air a primetime health care reform “town hall” at the White House with President Barack Obama. 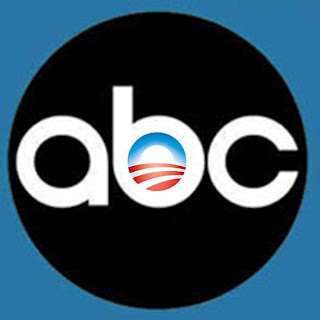 In addition, according to an ABC News report, GOOD MORNING AMERICA, WORLD NEWS, NIGHTLINE and ABC’s web news “will all feature special programming on the president’s health care agenda.” This does not include the promotion, over the next 9 days, the president’s health care agenda will receive on ABC News programming. Today, the Republican National Committee requested an opportunity to add our Party’s views to those of the President’s to ensure that all sides of the health care reform debate are presented. Our request was rejected. I believe that the President should have the ability to speak directly to the America people. However, I find it outrageous that ABC would prohibit our Party’s opposing thoughts and ideas from this national debate, which affects millions of ABC viewers. The last time Obama held a “town hall meeting” in the White House ALL of the participants were campaign supporters. More… The Director of Communications for the White House Office of Health Reform, since last month, is former ABC News correspondent Linda Douglass.